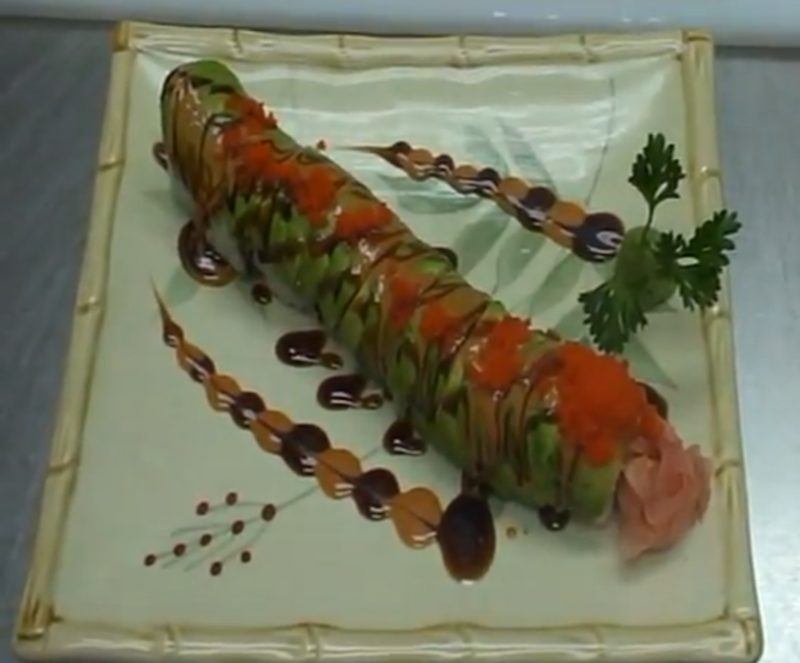 While the finished sushi caterpillar is pretty impressive, I think the most impressive part for me is actually the first 30 seconds of the video. It’s incredible that he’s able to slice the avocado, not only that thin, but also consistently that thin. I imagine it takes an avocado that’s at the perfect ripeness/firmness and an incredible sharp knife to prevent it from squishing too much.